Item # 311680 Stash Points: 5,195 (?) This is the number of points you get in The Zumiez Stash for purchasing this item. Stash points are redeemable for exclusive rewards only available to Zumiez Stash members. To redeem your points check out the rewards catalog on thestash.zumiez.com. 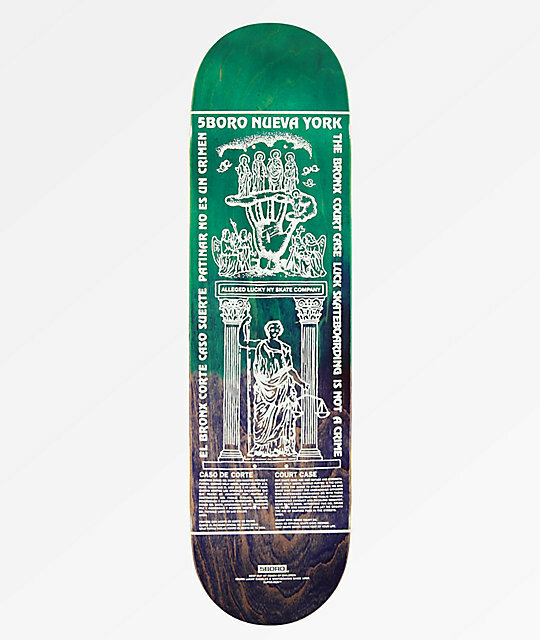 Shred it all from the vert to the streets on the 5Boro Lucky Bronx 8.37" Skateboard Deck. Moderate concave left to right helps improve flip tricks, while the medium sized wheel wells leave space for larger wheels or looser trucks and a smoother or more responsive ride. Finished with aggressively pitched and tapered kick tails, this deck maximizes ollie height while cutting weight for an all around lively ride. 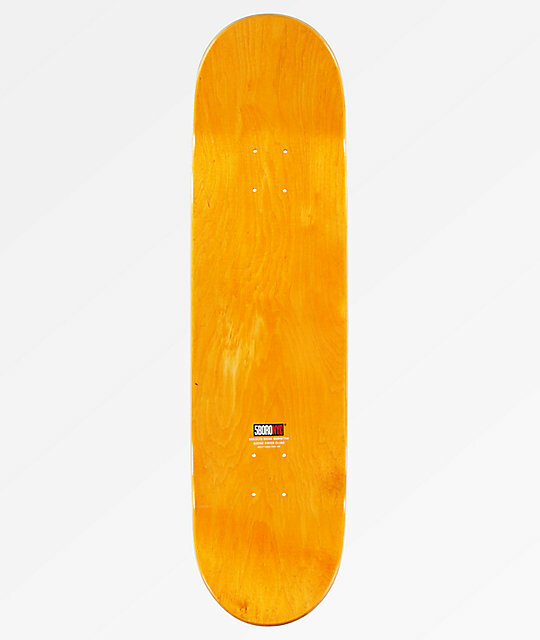 Lucky Bronx 8.37" Skateboard Deck from 5Boro.